YES! 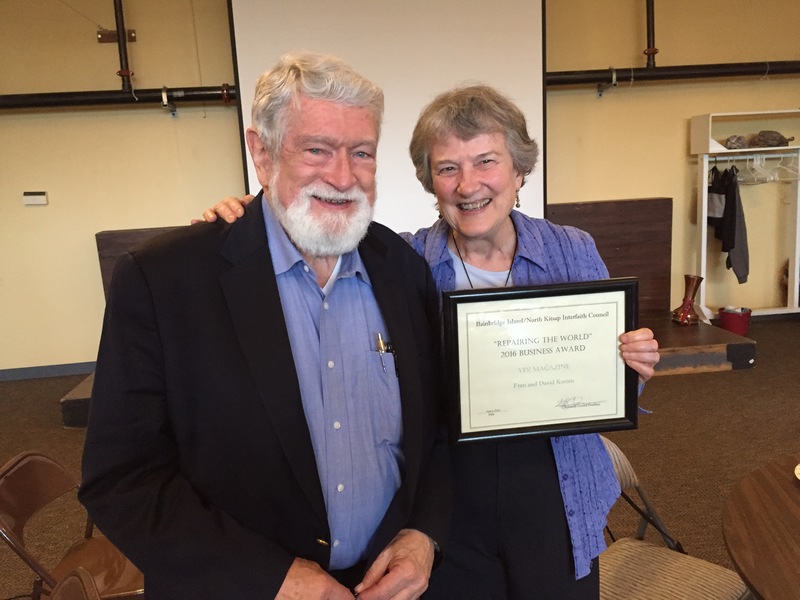 Magazine’s Fran and David Korten and graduating Bainbridge High senior Kimmie Hamner received awards from the Bainbridge Island/North Kitsap Interfaith Council last week. Kimberlie (“Kimmie”) Hamner is the recipient of the Council’s Bob Satterwhite Memorial Scholarship, given to honor Satterwhite, who was both a congregant at First Church of Christ, Scientist and a longtime booster of Interfaith work. Kimmie, who is the fourth of BI Police Chief Matthew Hamner and Kimberlie Hamner’s seven children, plans to study nursing at Utah Valley University. She was recognized for a tremendous work ethic, volunteering spirit, commitment to her faith, and social inclusion. She is active in the Bainbridge Island Church of Jesus Christ of Latter-day Saints. The Kortens and YES! Magazine were named as recipients of the IFC’s Tikkun Olam award, established on the Jewish principle that humans must work with God to “repair the world.” This is 20th year of publication for the magazine, which is committed to educating readers nationwide to envision a positive future. On its website and in quarterly issues, it seeks to repair the world through presenting new ideas and honoring those who work sustainably. David and Fran Korten, respectively president of the board and executive director of YES! Magazine, accepting the Tikkun Olam award. 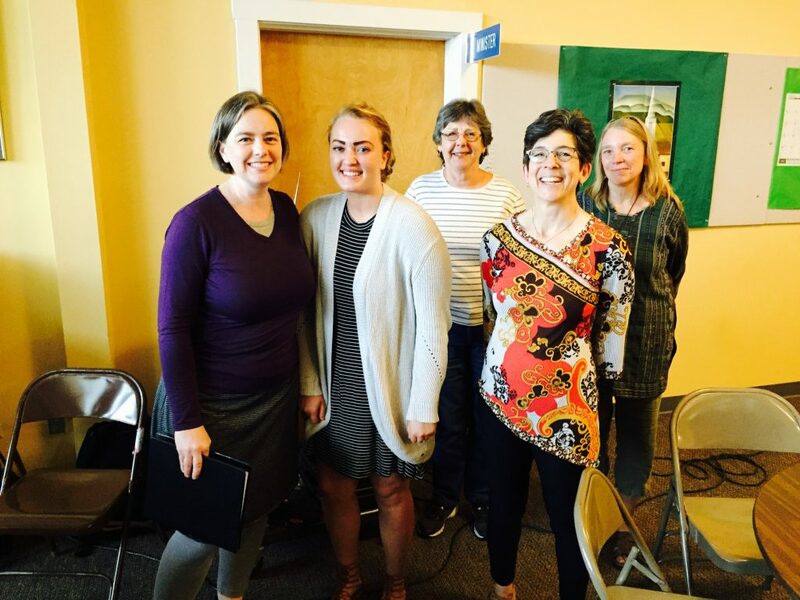 Hamner, second from left, is joined by scholarship committee members Patricia Lahtinen, LDS, left; Alice McCain, Bethany Lutheran; Jessica Dubey, Congregation Kol Shalom; and Elizabeth Dequine, Dances of Universal Peace and IFC president. The IFC’s selections recognize extraordinary contributions to the community and exemplify the purposes of the Interfaith Council, which include nurturing peace, caring for the Earth, opening communications between people of all faiths, and working for the common good.